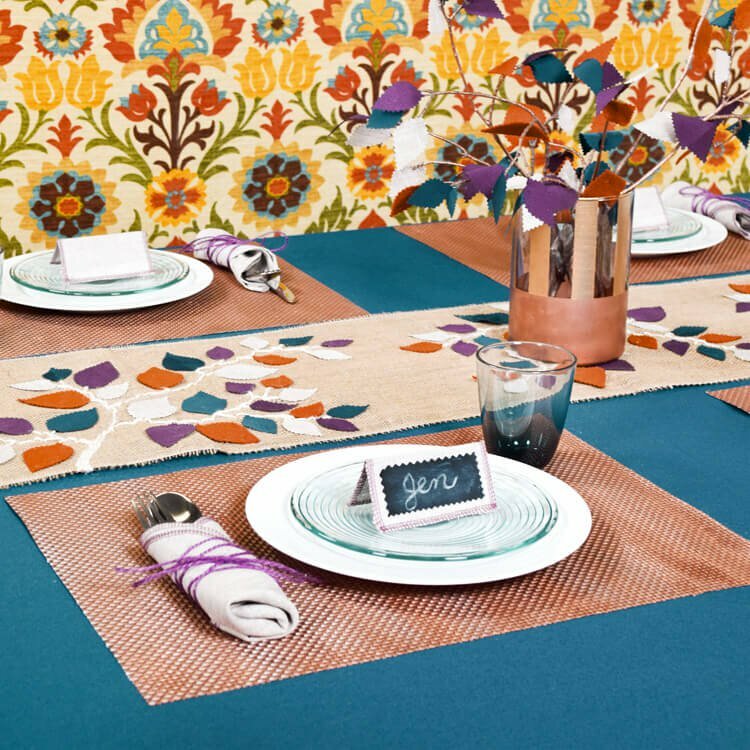 We’ve put together 7 projects to create a fall-inspired tablescape perfect for Thanksgiving. We chose the classic burnt orange fall color and added dark teal and plum jewel tones to mix it up a little. Of course you can choose any colors you want and use these ideas for many different gatherings, parties, and events. 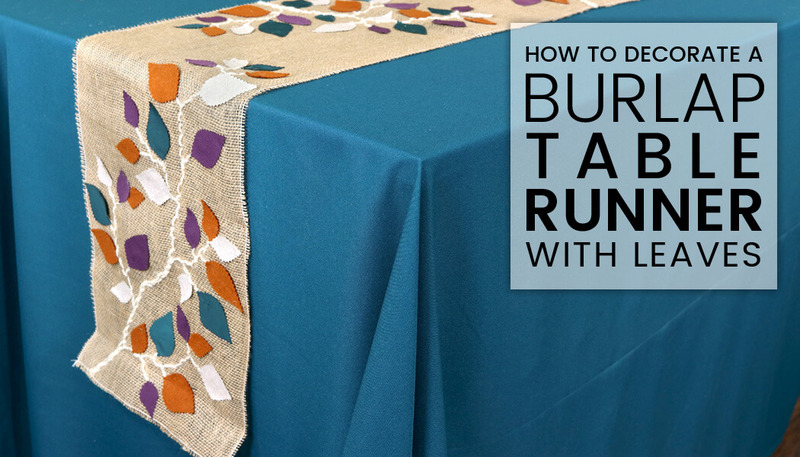 Find out how to make this burlap table runner, which is decorated with fabric leaves and twine embroidered branches. 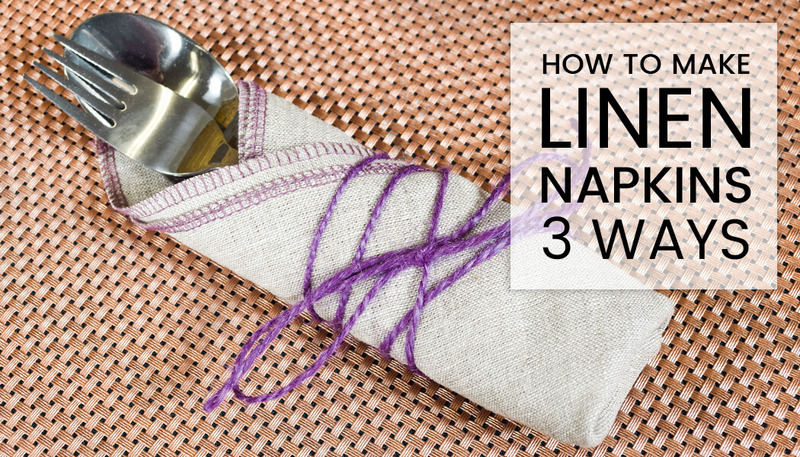 This tutorial shows how to make linen napkins with 3 different ways of finishing the edges. 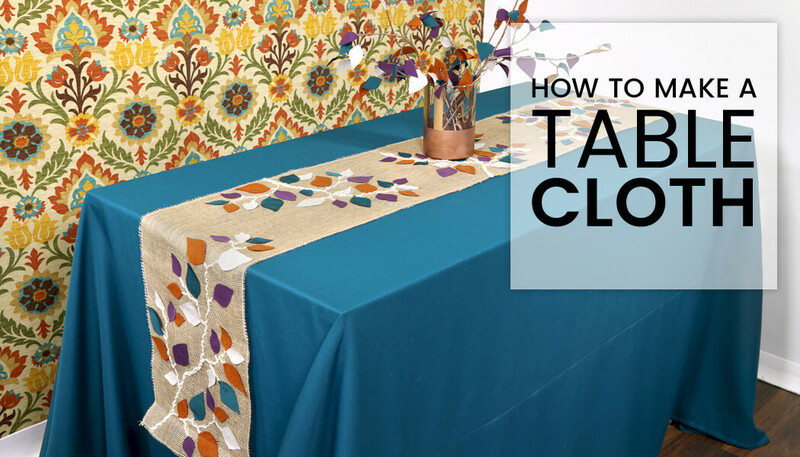 See how to measure for a tablecloth and how to seam together pieces if your fabric isn’t wide enough. 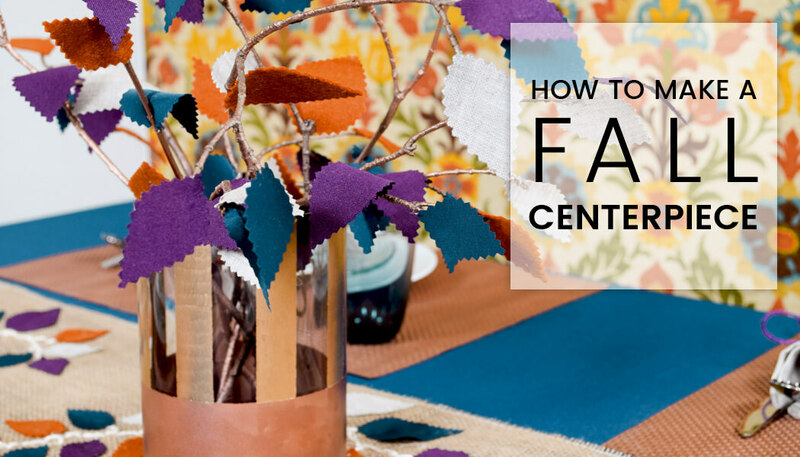 Find out how to make this centerpiece with fabric leaves and spray painted twigs. 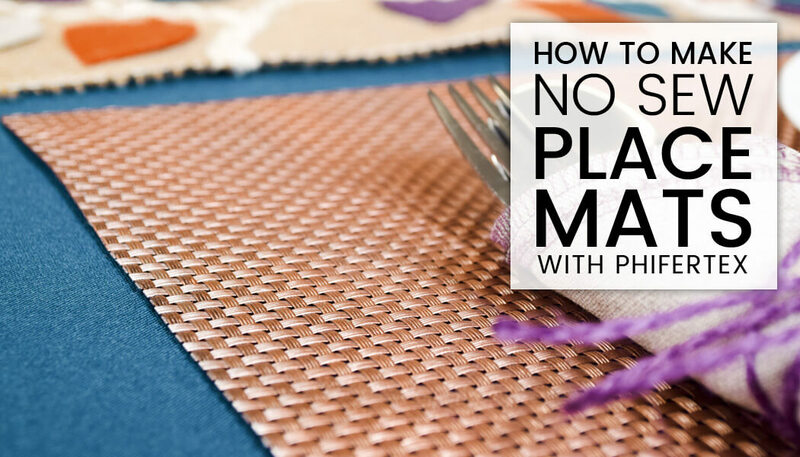 Phifertex is a popular material for placemats, but what if you don’t see a color you like? Spray paint them! 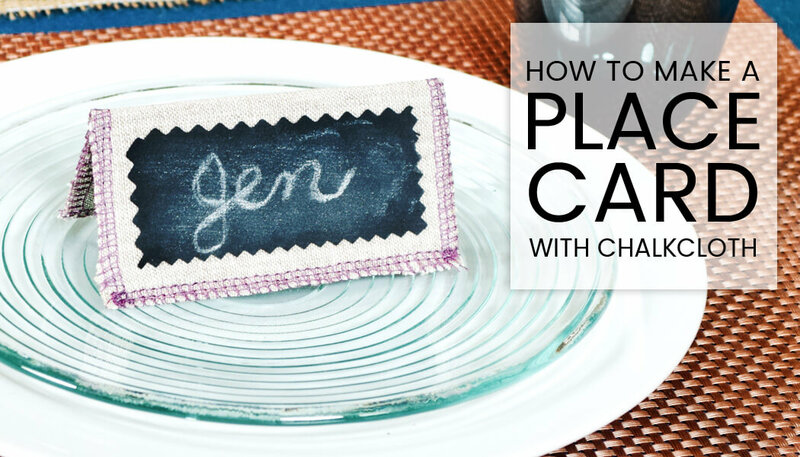 These simple place cards are made with linen, stabilizer, and chalkcloth so you can reuse them. 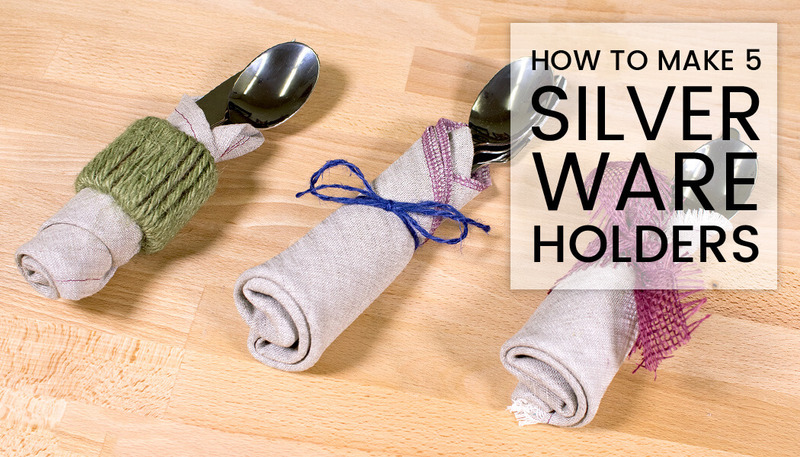 See 5 different ways to make silverware holders and napkin rings. See more fall craft and table decor ideas here.